The Integrated Passenger Information System (IPIS) will consist of Central Data Controller (CDC) loaded with software for announcement, Platform Data Controller (PDC), LED/LCD display and display boards of different sizes. 1. 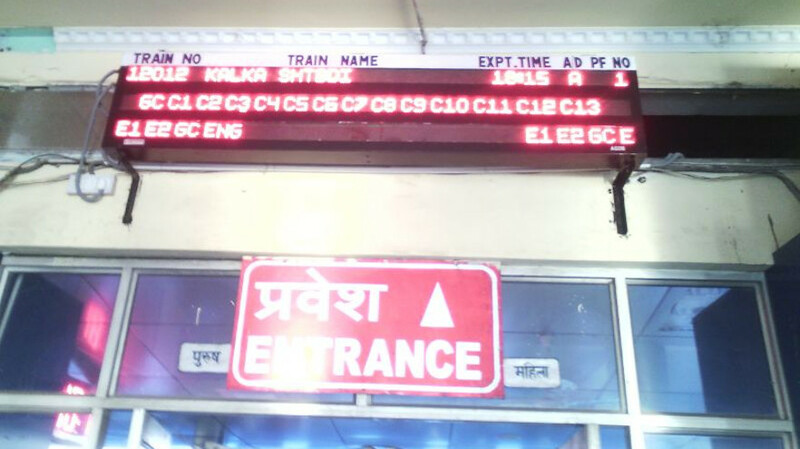 Multiline Display Board to display train Information i.e. Train number, Name, time of arrival/departure and platform number. It will show information of multiple trains at a time. For major stations, there should be two separate display boards for arrival & departure, whereas for small way side stations there can be a common display board for displaying arrival & departure information. The multiline display boards will be placed at main entrance/ concourse of the station and platform display boards at suitable places on platforms/ foot-over bridges. 2. 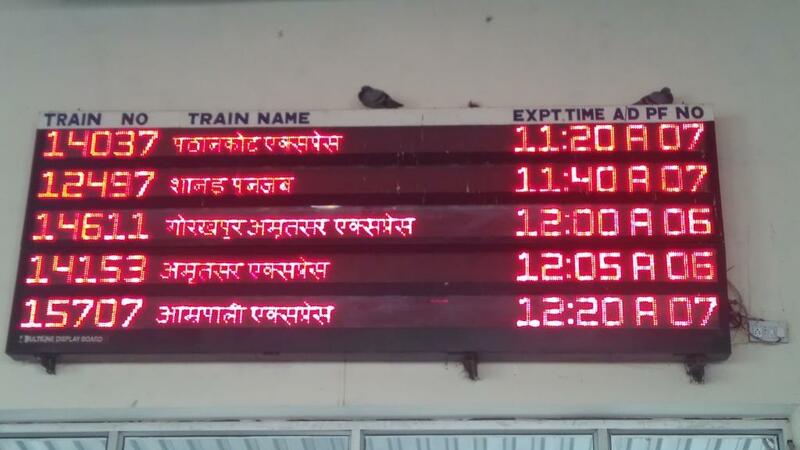 Platform Display Board to display the information of the train scheduled for arrival/departure from that platform i.e. 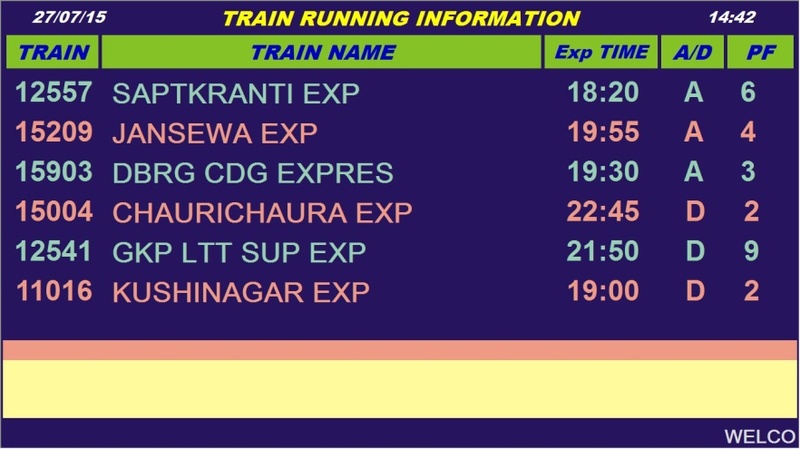 Train number, Name, time of arrival/departure. 3. At-A-Glance Display Board for displaying information of the train arriving/departing from that platform with coach composition. 4. Coach Guidance Display Board to indicate position of coach No. scheduled for arrival/departure from that platform for guidance of passengers. 5. TV Display, it should be possible to display train information being displayed on Multiline Display Board on LED/LCD Display placed at different locations of the platform. LED/LCD Display shall be provided in the enquiry offices, waiting rooms or at any suitable place to be decided by the purchaser. It should also be possible to network all systems provided at different locations at a station for carrying out operation from a centralized place. 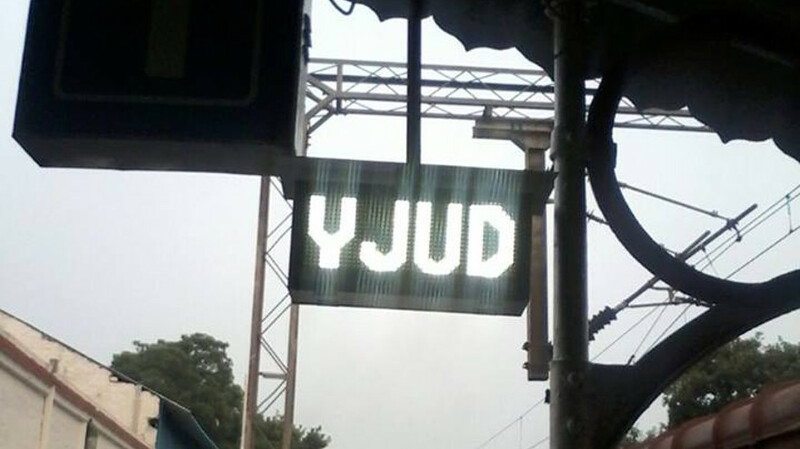 "RDSO Approved Vendor for Manufacture and Supply of LED based digital display Boards for Indian Railways." "10 years of Experience in Developing and installing LED based display boards." 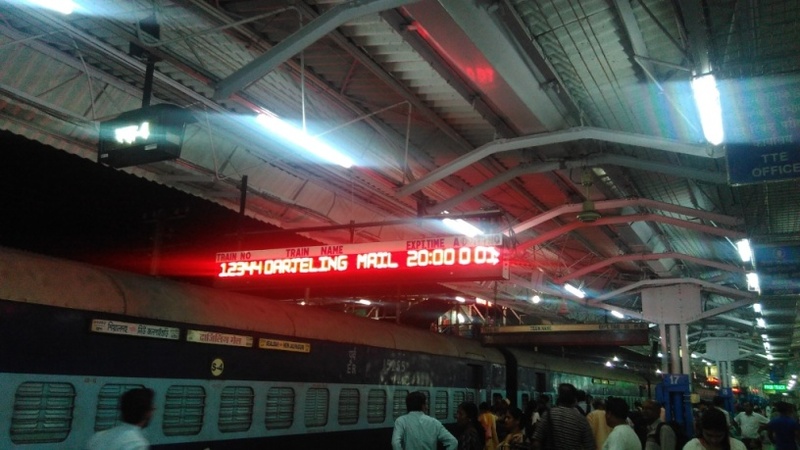 "Successfully completed several large scale installations of LED based Display Boards with necessary driving software and systems and maintaining them for Indian Railways." "Have necessary expertise and personnel to work all over India." SOFTWAY is a professionally managed organization in Information Technology & Telecom sector.